Hub Carriers and National Airlines – are they really needed? Whenever a national airline or a hub carrier goes out of business in an economically developed country, there is much discussion, debate and anguish about the lack of flight opportunities for passengers – especially in relatively small countries. Arguments for and against the maintenance or rebirth of a national (hub) carrier are numerous and the objective of my post today is to look into these claims. 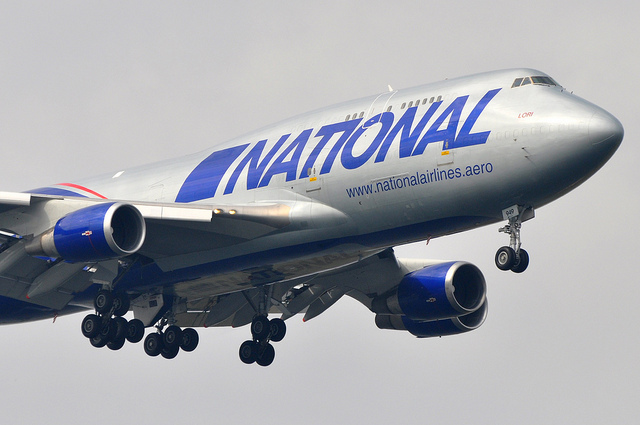 What impact does bankruptcy of national airlines have on the economy? What is the effect on the travelling public? Is there a case to be made for public money to be used to support a loss making hub carrier? Should airlines be treated the same way as railways? When thinking about this, my first instinct is to reject the notion that there are “public interest” arguments in favour of protecting a national airline. There are numerous substitutes for airline travel in most developed countries – trains, cars, buses and so on. I have to get myself to Milano from Trieste at the start of October and I got a first class roundtrip ticket for 99 euros on the train. When I looked into flights, Alitalia offered me an economy class option at 198 euros. In this situation there is no public case for protecting Alitalia. A second reason why I may be skeptical of using public funds to prop up loss making airlines is that the past track record of such subsidy is not exactly glorious. Rather than using public funds to reinvest in the airline through CAPEX (new aircraft, refitting planes), the management uses the money to finance OPEX (salaries, fuel and catering cost). In previous posts, I have emphasised the dire financial record of airlines in terms of returns on invested capital over the past thirty years. A third argument against the maintenance of a national (hub) carrier is that recent de-regulation has reduced the need for public money – both capital markets and investors appear to be willing to underwrite the cost and risk of operating passenger airline services. The emergence of new airlines (especially the Low Cost Carriers (LCC)) clearly demonstrates this appetite. A fourth argument is one about priorities in public expenditure so that even if the three preceding arguments could be challenged, governments face numerous pressures on the allocation of limited resources (health, education, defence) – finding money for the vanity of a nation to maintain a national airline would be a terrible abdication of responsibility and accountability on behalf of national governments. Nevertheless, in the interest of balance and critical thinking, let’s rehearse the arguments for a national airline – in fact, when I did this exercise I became less convinced of my bias against public money being spent on national carriers. To support the notion of public investment in a national airline, it’s necessary to take a step back and understand the most common origins of national airlines. First, national airlines were created with public funds. Thus, if we were and still are willing toinvest millions of dollars in the creation of an airline (think Qatar Airways, Turkish Airlines or Etihad), why can’t that argument be extended for the maintenance of such a service? Second, national airlines served not just a commercial purpose but also a diplomatic one – it would fly to cities that would have diplomatic representation – without necessarily needing to be full or to make a profit. Third, a national carrier reflects both the importance (flag carrier) and perceived importance of a nation – having a national airline was a source of pride in the world for the citizens of the country where the airline came from. So the birth, diplomatic role and national pride all play a role in the case of national airlines. So what? A fourth argument is perhaps more convincing in that airlines like other infrastructure industries are a lot more than ‘just’ passenger services and we should look at airlines as being part of broader eco-system of related activities such as airports, cargo services and technical avionics. Thus the cost/profit issue is not about airline services in isolation but their contribution to an overall wealth creating set of activities i.e. aviation. In particular, there are spillovers between different activities within the eco-system and costs that can be easily be externalized to the firm but NOT to the ecosystem – someone has to pick up the tab. So if Ryanair refuses to pay for buses to ferry passengers to their planes, the airport still needs buses. What do they do? Increase the price of ground services to the national hub carrier. Seen in this light, the national hub carrier may need public support. If we accept this argument, then the question becomes how much support? So it sounds like I have found a reasonable (and reasoned) argument for national hub carriers supported by public funds. But here’s where even if we wanted to have a national carrier, some basic economic fundamentals may mitigate against it. I recently sat down with two senior industry executives – one from an airport and another from an airline. Independently, both of them argued that there is a ‘gravity’ law of airline services related to the average income per capita within a 250km radius of the hub airport. The higher the per capita income of the catchment area, the better the chance of survival of a hub carrier. So even if governments want to have a national hub carrier, if their country is too poor and their policies cannot help create enough wealth, then it is a waste of public money to support one.